Yesterday I wrote about how youth soccer in west central Ohio has grown from being almost strictly independent recreational soccer to becoming evermore affiliated with USYSA. The quality of soccer being played has gotten much better along the way. Individual player development once reserved for those who could afford to travel to clubs in the big cities or spend their summers at college camps has also made strong strides locally. Every single player from my most recent spring team had the opportunity to play in college. Most are. Some chose not to pursue that option. The point here is the sheer number of players getting that opportunity. It wasn't always like that. 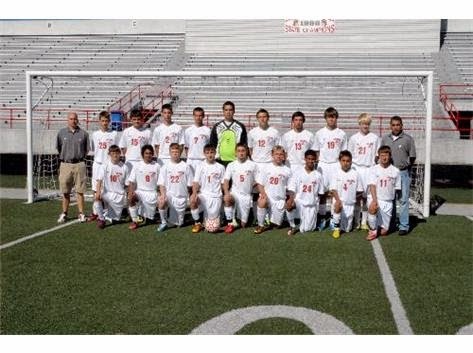 In the mid 1990's Shawnee High School emerged as the powerhouse soccer program in our area. Their reign continued for the better part of two decades. 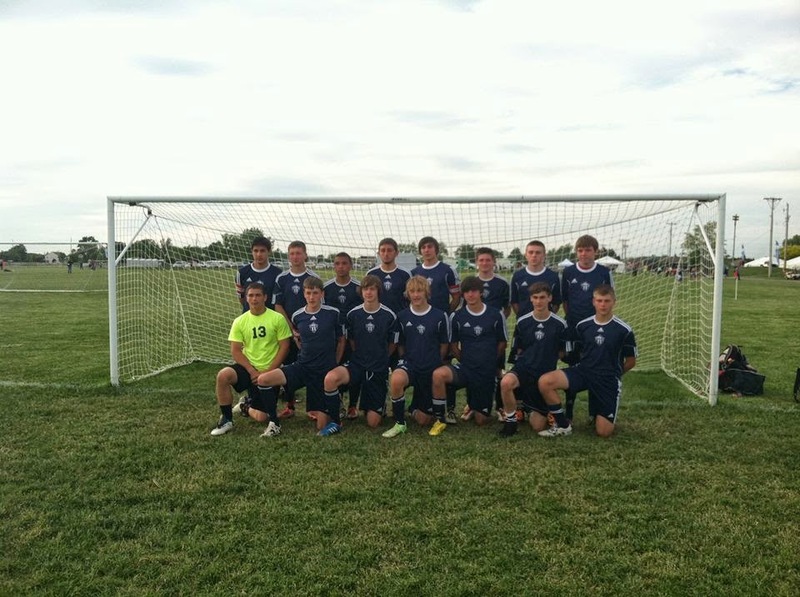 The reason for Shawnee's dominance can be found in their being on the cutting edge of soccer in our area. A vast majority of the credit for this goes to Graham Ramsay who conducted Shawnee's team camp for many years. In fact, it was when Shawnee and Graham parted ways that Shawnee's decline began - slowly at first as the residual effects of Graham's training remained. The decent increased with each succeeding year until today where we find Shawnee has completely surrendered the throne it long held to now reside in mediocrity. 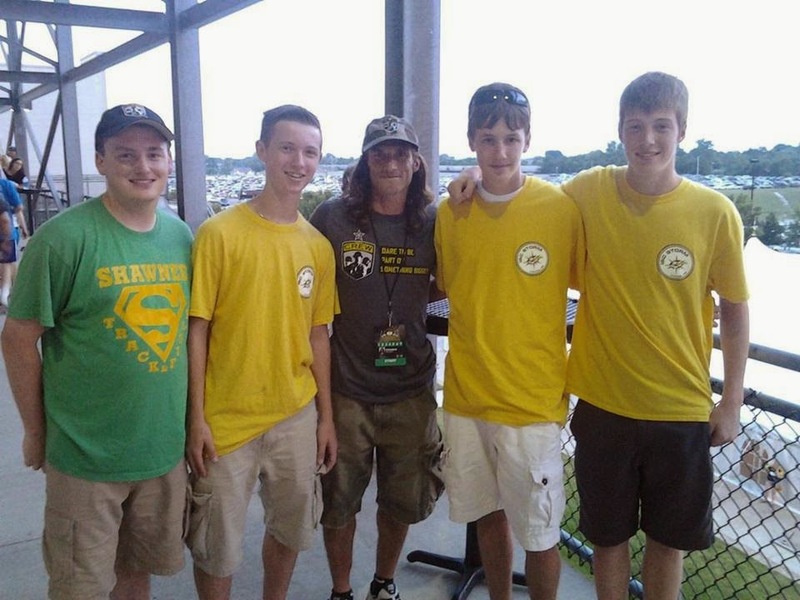 More than just being Shawnee's soccer guru, Graham brought the international game to our area. He used to lament how our players didn't know who the top clubs in the world were or who the superstar players of the time were. Remember, Graham's tenure as conductor of Shawnee's team camp began before the Internet. For many of his early years at Shawnee soccer was not available on television except during the World Cups and even then on a limited basis. In fact, the USWNT got more play in those days than did men's soccer. We were truly isolated from the world's game in almost every regard. Progress does not rest nor take a backseat for long. The Internet and cable / satellite TV eventually made their way to west central Ohio and the flood gates opened. We suddenly had access not only to the entertainment aspects of soccer, but to the vast world of knowledge technology brought to our doorsteps. Before the Internet and soccer become readily available on TV it was the video tapes Graham brought with him on his visits that provided a hint of the potential the world of soccer held for us. I eagerly anticipated Graham's arrival each summer in small part because of the video tapes and later on the DVD's he brought along with him. I made copies of everything he brought and this was the start of my video library. Soccer Star, The Mighty Reds and snippets of Romario ignited a fire within us to learn more about the game. These copies of tapes / DVD's are the foundation of a video library now numbering over 400 titles. That's not to mention books and coaching manuals that easily number upwards of another 150 titles. The real gifts Graham brought were his knowledge of and passion for the game. 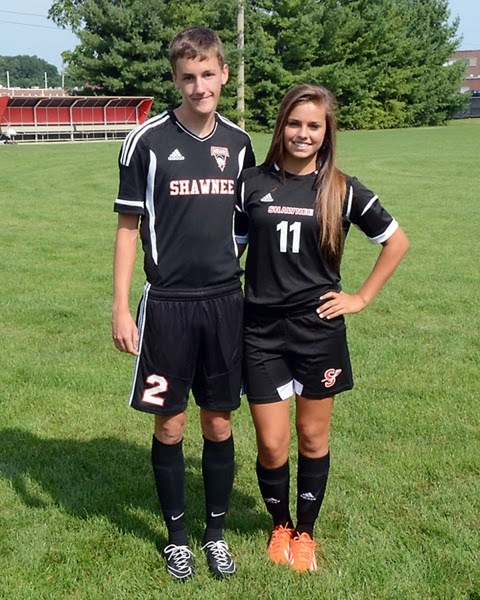 Shawnee began running the flat back four defense years before anyone else in the area. This became Shawnee's trademark and one of its biggest advantages when competing against other high schools. Graham also brought to us a week of 3 sessions per day of technical training. It was a grueling week conducted at the end of July each summer. The payoff was when practice began around the first week of August, Shawnee was already in mid-season form. I have stated this before, but it is well worth repeating - I learn more about soccer from Graham spending a week at my house than I do everywhere else combined. To this day these lessons still bear fruit. I was a soccer novice when I first met Graham and still find myself realizing the truth of what he sought to impart to this day some 15 years later. In those early years with Graham I made copious notes of every session he conducted, but did not necessarily truly understand what I was noting. Understanding came as the base of my soccer knowledge strengthened over the years. And I still have all those notes! While Shawnee decided to part ways with Graham, I continue to host him every opportunity I have. He has worked with Botkins and Lima Central Catholic high schools as well as Lance's youth teams. When next I coach high school, Graham will be the first I call to schedule a team camp. In the grand scheme of youth and high school soccer our rural west central Ohio communities might still lag behind our big city brethren, but the gap has closed considerably over the last 20 years. The top programs in the area remain those on the cutting edge of the game. The best example of this manifestation is the movement of community based teams away from the independent WCOSA league and into USYSA sponsored leagues. This provides a more serious level of competition for the youth however it also brings along its own baggage - declining numbers for some of the recreational programs and a weakening of the overall depth in the numbers that are playing. The talent level in our small communities is becoming somewhat top heavy exasperated by declining numbers of participants that can ill be afforded if we are to sustain the sport to the standards previously set. I'm not overly concerned as it will all right itself eventually. Our next writing will take a look at the vital importance of culture in the game. The path we TRAVELed to promote youth soccer. There was a time we here in rural west central Ohio were being left behind in the world of US Soccer. While there remains a measure of truth to this even today, we have made tremendous progress, especially in the last decade. 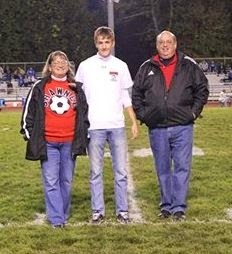 In the mid 1990's I was coaching my son Grant's recreational team in the West Central Ohio Soccer Association (WCOSA) of which the Shawnee Youth Soccer Association (SYSA) was a member. The SYSA had been founded in part by my father and father-in-law to help promote the sport of soccer in our area. At the time being discussed here there were 4 teams in Grant's age group! Interest in the sport was exploding. These teams were randomly selected with the talent being divided amongst all teams. 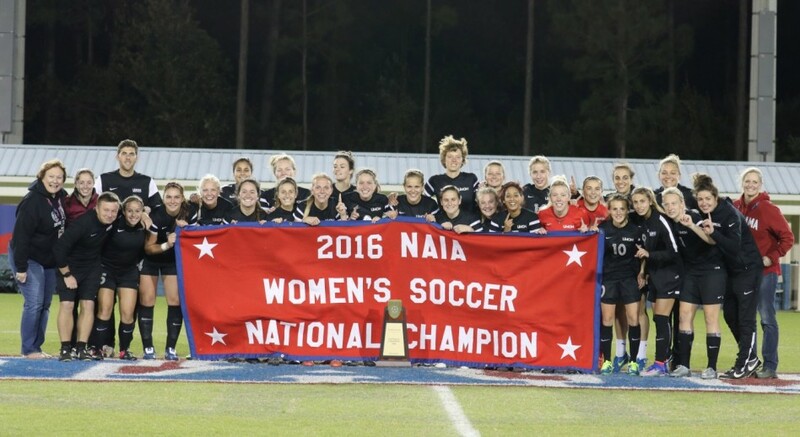 There were a host of local tournaments unsanctioned by United States Youth Soccer Association (USYSA) that served WCOSA and other teams from independent organizations. As Grant's teams became dominant in these events we began searching for a higher level of competition. This meant going to USYSA events. The only problem was as an independent team from an independent league we were not registered with USYSA and therefore did not have player / coach cards. I set about obtaining cards only to learn Ohio-North, Ohio-South and USYSA would not issue us cards unless we played in a sanctioned league. There were not individual / guest player cards allowed at the time. There were no event rosters allowed at the time. 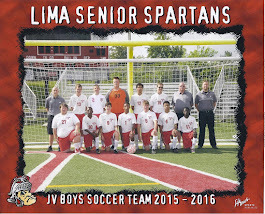 In short, I was told by various people at both the state and national levels of USYSA there was no way to obtain cards for this team short of joining an Ohio-North or Ohio-South sponsored USYSA league. We were not the only ones experiencing these difficulties and soon our areas first club began forming. This became West Central United. From the beginning I was a bit uncomfortable with this clubs emphasis on winning. I wasn't the only one and in short order a group left and formed Grand Lake United with an emphasis on developing players. This was more to my liking. 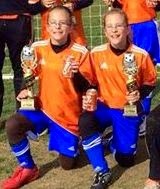 Grand Lake United (GLU) is now the oldest surviving youth soccer club in west central Ohio having absorbed West Central United a few years ago. 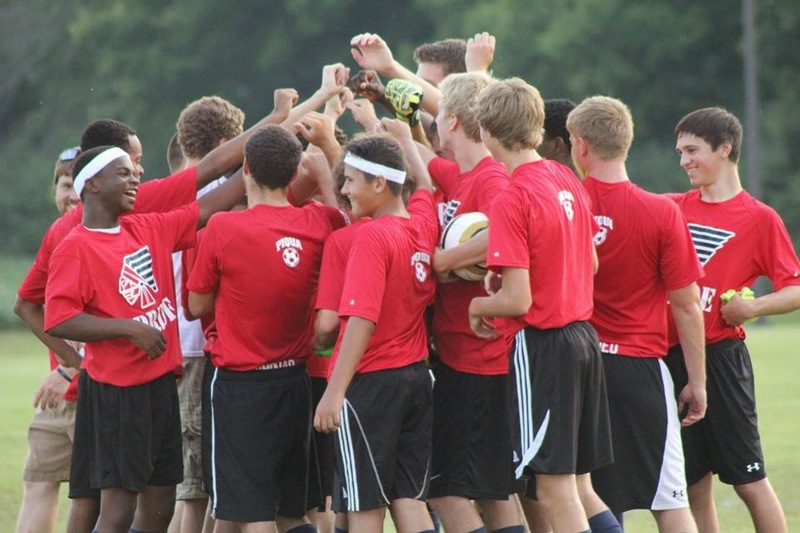 WCOSA is comprised of a loose band of community / school based soccer organizations. We "traveled" about west central Ohio to play one another. Most trips were between a few minutes up to perhaps 45 minutes. The word "travel" was redefined for us while competing for Grand Lake United. Our home pitch was 20 minutes away in those days while we often traveled an hour plus one way for away matches. Tournament play... well, tournament play was in Ohio's largest cities and quickly expanded to neighboring states. Our middle son, Treg, followed in big brothers footsteps to play in WCOSA during the fall and then Grand Lake United in the spring. Once in high school both boys played for their high school teams in the fall and then for GLU in the spring. It wasn't until our youngest son began playing that we abandoned SYSA / WCOSA completely. 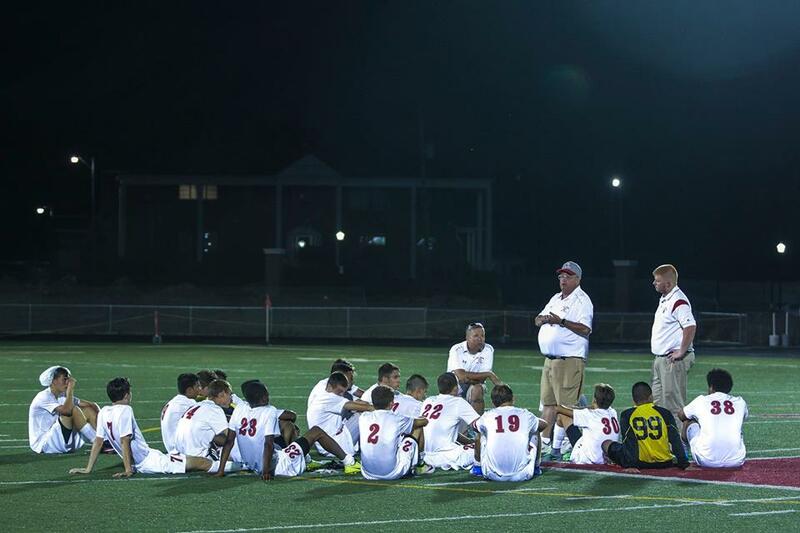 I organized and coached our areas first year round team to play solely in a USYSA league. 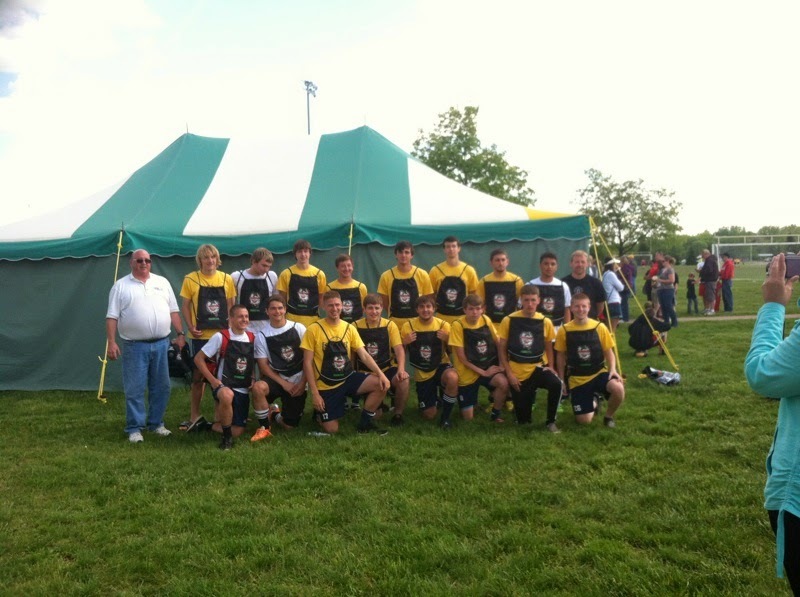 Lance's GLU team competed in the Miami Valley Youth Soccer Association (MVYSA) of Ohio-South. 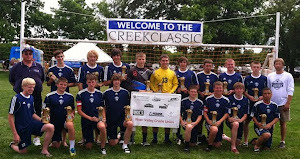 Eventually that group would compete in the Buckeye Premier League (BPL), various college showcase events and more tournaments than I care to remember. Every single player from the last two years has had the opportunity to go on to play in college. Not all decided to do so, but the opportunity existed for them to do so. 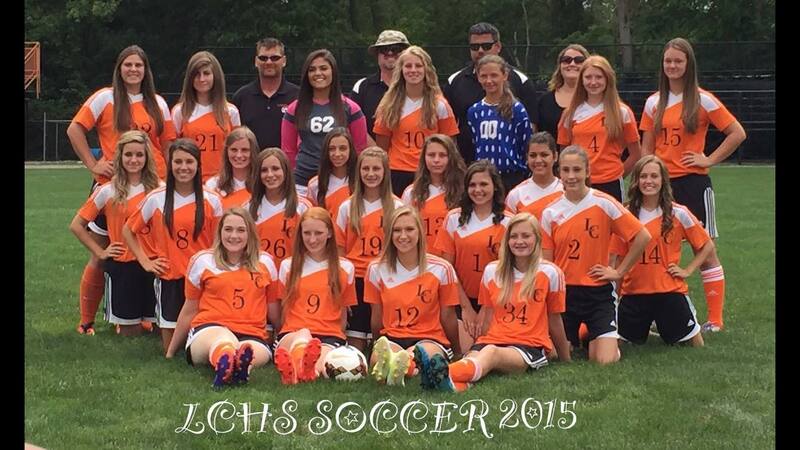 Grand Lake United has been joined in serving our area by a handful of other clubs in recent years. Another sign of the growth the sport of soccer has enjoyed. In fact, some of the WCOSA based community programs have left to join USYSA leagues over the last years. Youth soccer in the area is experiencing some growing pains once again with some long-time WCOSA powerhouses seeing an erosion of participation as players and their families look for "more" out of the youth soccer experience. I understand this - it is exactly what we did 20 years ago. Look for more on this subject in future writings. 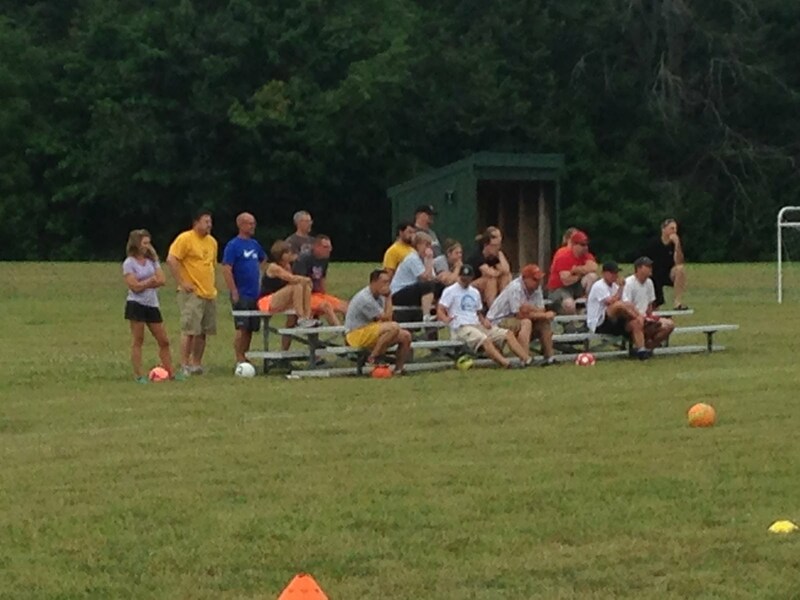 I recently conducted a coaching clinic for a soccer organization. I gave a brief presentation on the idea of practices being preparation for matches with very little instructional coaching actually taking place on game day which is reserved for match (and training) analysis. We then had an open question and answer period. As is often the case many of the queries were about advanced skills and tactics. One coach wanted to know how to teach shielding the ball from an opponent. I have seen her team play and to be perfectly blunt about things, they have trouble gaining possession of the ball. 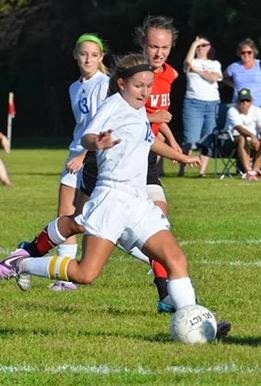 She has a bunch of go-getters that are often first to the ball which is different from actually winning the ball. In order to shield the ball one must first be in possession of the ball, correct? I did not call out or chastise the coach in front of her peers. I discussed the general concepts associated with shielding the ball and explained a couple of drills and ssg's designed to work on shielding. I felt somewhat conflicted about this but 30 years of coaching experience has taught me coaches tend to be a strong willed tunnel vision lot. As I drove home afterward the idea of soccer being a series of 1 v 1 battles with the winner usually being the team who wins the majority of these came to mind. In the modern game, I do not believe this has the credence it once held. Gone are the days of man-marking defenses that lent themselves to 1 v 1 confrontations all over the pitch. Today's game requires attacking zonal defenses and that is usually accomplished by overloading a defender and creating numbers up situations for the attackers. And on defense pressing has been the trend which is being numbers up around the ball when defending. With this in mind, I once again considered the art of shielding the ball. In today's game the target forward probably shields the ball more than any other player on the pitch. Backs will shield the ball when running at their own goal, but running at your own goal is taboo in zonal defending so this should not be a regular occurrence. Checking back towards a ball being played to his feet the target will often have a defender in close proximity. The target must either sit in a post up position or come sideways on to the ball looking to immediately drop the ball back or self pass. In either case the act of shielding is part of the act of receiving. Therefore, being first to the ball cannot be the entirety of the thought process. The target must be thinking of sustaining possession of the ball for his team. Zonal defenses are designed to intercept "passes" and are by-and-large not tackling defenses. Pressure and support around the ball cutting off forward advancement. Intercept a pass and counter. When tackling in a zonal defense the art of dribbling (not to be confused with running with the ball) is often the strategy of choice. This in and of itself might be considered a form of shielding, sort of. I teach players to think of it as winning the ball to be followed by the execution of a safe pass to secure possession of the ball. This brings us back to the coach wanting pointers about shielding the ball. Regardless of whether we consider the game of yesteryear or today's modern game before we can shield the ball we must gain possession of the ball. It stands to reason then, players must be taught how best to gain possession of the ball before learning how to maintain possession of the ball which shielding is a useful tool for doing. When I conduct a camp on attacking soccer one of the first questions I ask of a coach is, "where on the pitch is your defense designed to win the ball?" Many coaches are taken aback by this question but it goes directly to what your team's style and system of play will be. I can guarantee you this, if forethought is not given to this consideration your team's style of play will be direct - win the ball and go to goal. Heck, winning the ball might not even be the primary consideration giving way to simply getting the ball moving towards the opponents goal which requires only being first to the ball. Babies learn to crawl before they learn to walk and eventually run. The same holds true in soccer. The basic FUNdamentals need to be learned first. How to gain possession of the ball considered before maintaining possession. How to utilize possession to manipulate the defense comes after winning the ball and securing possession. Can we really expect soccer athletes to understand and execute advanced techniques and team tactics without first having a solid foundation in the basic FUNdamentals? From college to 5th grade all in one morning. I began my morning working with college goalkeepers and finished it working with a 5th grade co-ed recreational group. I enjoyed both experiences. All participants were engaged and eager to learn. The standards of learning as widely disparate as were the ages. Measured success of each session was also gauged by different standards. On a field adjacent to the one I was working with goalkeepers on another team was practicing and I on occasion got a glimpse of their goalkeepers being worked with. At one point they were practicing full blown diving saves - both feet off the ground, laying out for a driven ball 4-5 feet off the ground that was barely within reach when service was good. Matt, one of the goalkeepers I was working with asked why "we" never worked on full diving saves like that. I answered with a question of my own, have you ever had to make a full blown diving save like that? There was a long pause. I could see the Matt considering his answer. He finally ventured that he had been ready / prepared to make the play. I urged Matt to continue on with his answer. " I was properly positioned on the ball line / angle arc. My feet were square to the action with toes towards the ball. I was in the correct ready position, I read the cues the shooter offered for when and how he would strike." "Your basic fundamentals were excellent?" "What do we work on in every session?" "How are the goalkeepers fundamentals on the team down at the other end of the pitch?" So we watched the other goalkeepers train for a bit. Karl was the first to offer that fundamentals were not as sharp as they could have been. Missteps were causing them to miss plays. They were not getting both hands to the ball at or close to the same time. The ball was getting to their palms. Matt concurred. So, those goalkeepers were unable to make the routine saves on a consistent basis in practice. Yet they were training to make the spectacular save? We went back to working on the fundamentals. Later this morning I was working with the co-ed recreational group of 5th graders. There were a fairly wide range of skill levels as is the norm in such situations. In speaking with the gentleman who had worked with age group the previous week he related the need to work on ball control, push passing and basic tactics. The usual fare for this age group and recreational soccer. Being completely new to this particular group I began the session by asking the players names. I memorized them immediately and then asked each by name to demonstrate a basic foot skill. After a player introduced a foot skill the entire group performed the skill. This went on until no one had any more foot skills to share with the group. I did this to 1) connect immediately with the individuals of the group on a first name basis and 2) to bring myself up to speed with where the group was in terms of controlling the ball. We next worked briefly on the speed dribble or running with the ball. Again I demonstrated the proper technique. With this I provided a few visual cues to look for to be used by the players to coach themselves. We then moved on to the basic push pass. I demonstrated the proper technique, then set them to working with a partner passing the ball back and forth. We had an odd number of players so I paired them up and then worked with the remaining player myself. Once again, I provided tips on how they could coach themselves by recognizing their own mistakes and how to correct these. I then rotated through working with each player. At a distance of 7-8 yards this went fairly well Next we added passive pressure by having partners face one another at a distance of 3-4 feet. One player passed the ball through the legs of their partner who then turned, retrieved the ball and brought it back using the running with the ball technique. Then roles were reversed. The passive pressure of performing a push pass in close proximity to another player added just enough difficulty to expose flaws in the players technique. It was about this time, less that 1/2 hour in, that Kyra began asking about scrimmaging. This is a common occurrence as well. Kids want to play! Its what they do. We proceeded to a basic version on breaking lines while assuring Kyra that we were progressing towards playing a game / scrimmaging. For breaking lines we focused on the push pass with only minor instruction on receiving the ball properly. In this case the added pressure was found in the demand for accuracy of passing. We discussed the necessity of preparing to play the ball in the sense that we had a designated player to receive from and play to. I asked the players to play in the scan, touch, scan, play pattern to begin transitioning them from being ball watchers to becoming game watchers. Again, Kyra asked about scrimmaging. Were they ready to play a game? From a skill perspective, no. I knew before we started it would be bumble bee ball with a lot of mindless whacking of the ball. There would be more mistakes than correct plays. That's okay. Each mistake is a learning opportunity, a stepping stone on the way to success. We progressed on to playing a basic version of the gates game. It was bumble bee ball as anticipated. yet, with in the madness it could be discerned an effort to properly execute the push pass, especially at the start. When the game began to really break down we paused and I asked the players to discuss what was working and what was breaking down the game. They nailed it. They always do. So, we set about putting it right. And they did in a relative sense. We took a break and discussed the session / drills / game a bit more. The discussion turned to playing fast. When allowed to figure things out on their own kids are amazing problem solvers. We discussed what was required to play fast. Physical speed was mentioned immediately, but Rose pointed to her head, her brain! Soccer is a game played with the brain. We talked about Ronaldo being labeled fat and slow, yet how fast he played and how he is considered one the very best players in the world. We played the numbers game to impress the need to be game watchers instead of exclusively watching the ball. Slowly but surely they began to get the ideas associated with increasing the pace of their play. By the end of this portion of the session they were actually demonstrating some ability to play one-touch soccer with two ball active in the game. When I stopped the exercise I had the players freeze where they were and look around. We had progressed from clustered bumble bee soccer to being spread out over the pitch. Still Kyra wanted to scrimmage. I finally asked her to talk about the session so far. Kyra began describing each exercise we had worked on. I asked her to grade our performance in each of these. The grades she awarded our group got better with each exercise. I stopped her at one point to ask what grade she thought it would be necessary to achieve before we were ready to scrimmage. The lights started to flicker on. When she arrived at evaluating the numbers game she decided we were ready to play. I said, "if..." and Rose spoke up to say if we don't slip back into bad habits. If we don't go back to being ball watchers and playing one decision soccer. Bingo! Again, in a totally different manner, the importance of technical excellence was brought to the fore. As we finished the session with a shooting exercise that incorporated everything we had worked on today the pace of play was markedly improved and the kids were noticing this. They were recognizing their mistakes and beginning to correct themselves. Not all the kids, but a majority for sure. Quite the morning of emphasizing basic fundamentals to bring out spectacular plays and increase pace of play. Soccer is a simple game with spectacular plays. The spectacular plays are based in the simplest of fundamentals. Johann Cryuff said, "The most difficult thing to do is to play simply." I think we are all familiar with this motivational slogan. And I will not argue against the measure of truth it holds. However, I don't think those four words are enough to complete the thought process they begin. I believe four more words are needed. The first set of words addresses the need to train the physical body for competition. The second set of words identifies the importance to train and play with as much intelligence as possible. From the Mission Statement page of the coaching manual I wrote for SYSA / SSS. I usually write about coaching teenagers as these are the ages I currently coach. Recent discussions with a group of colleagues have centered around our beginnings as soccer coaches. I have found myself waxing nostalgic of those days when I was put in charge of my eldest son's first soccer team. What struck me immediately was how little guidance we coaches were given. It was basically, "here's your roster and t-shirts now go get 'em tiger!" It was several years later that I wrote my first coaching manual. 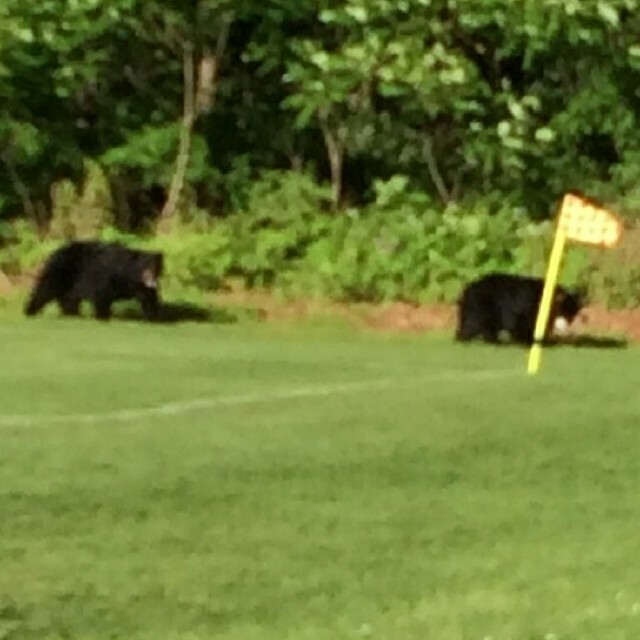 The target audience was parent / coaches involved in our local youth soccer organization. This endeavor eventually led to publishing 3 age specific coaching manuals for coaches in that association. These coaching manuals are apparently no longer in use and that is where today's writing begins. 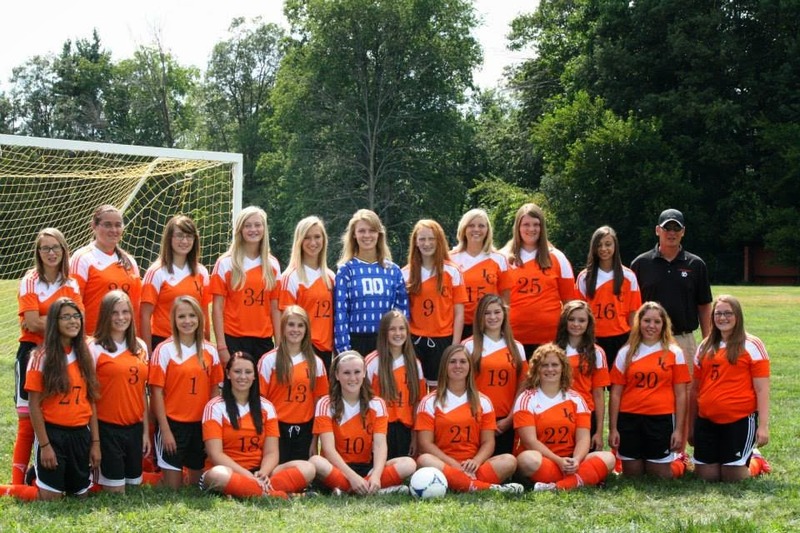 The Shawnee Youth Soccer Association (SYSA) is a recreational league servicing our local school district. 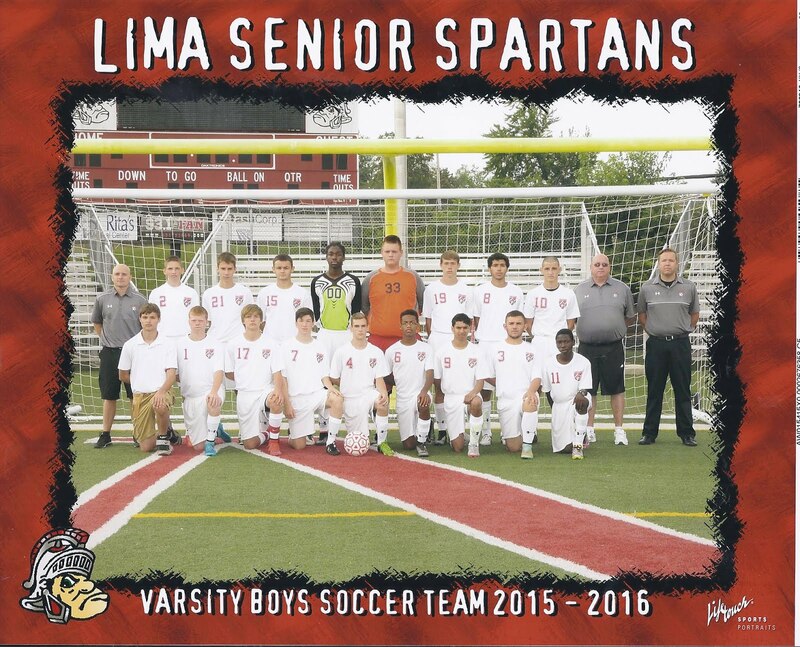 It is a member of the West Central Ohio Soccer Association, a loosely organized independent league of similar community based soccer associations. The manuals I wrote were aimed at coaches of recreational teams and the players they would be coaching. The SYSA was at its strongest when it adhered to the recreational tenets it was founded on. The coaching manuals I authored were not really applicable to these "all-star" teams, or so some would have you believe. The manuals fell out of use even for the purely recreational teams within SYSA. In perusing those manuals I would agree a re-write is in order. This is the catalyst for the reverse engineering of my current coaching philosophy and methodology. I have evolved as a coach and so too should too should the coaching manuals. It is an "if I only knew then what I know now" adventure that will undoubtedly result in new additions of those old coaching manuals. Rest assured parts of the new manuals will be published in articles on this site. The logical place to start is from the perspective of a first time parent coach. What would such an individual need to get them started off properly on their journey as a coach? 1) Basic coaching knowledge including an introduction to coaching philosophy and coaching methodology. 2) Sample practice plans, info on game management and guidelines for interacting with parents and referees. 6) Possibly a whistle, stop watch and clip board. 7) An understanding that soccer is a player given game. The best avenue for presenting this information is a coaching clinic, imo. And I did in fact present coaching clinics to the coaches of SYSA at one time. Those too have fallen to the wayside. It might well be time to bring them back alongside the coaching manuals. I saw this quote on twitter a couple of days ago and it struck a chord with me. Culture does indeed eat strategy for breakfast provided the team culture is healthy, positive and strong. Every team has a culture. It is most unfortunate that many coaches do not recognize the importance or full impact a team's culture has on its performance. The culture of a team defines who the team is and permeates every aspect of the program. The culture is the standards the team adheres to, its attitude and commitment level. The culture is found in the teams degree of competitiveness and resiliency. As such the team culture needs to be defined and nurtured on a continuous basis. It is a process. The process begins by honestly and accurately evaluating where your team culture currently stands. The next step is to set a goal for where you want your culture to be. Finally, establish a plan that will take you to there. Here's a secret, your captains must embody the team culture you seek to establish. Contrary or negative leadership can destroy team culture before it has a chance to blossom. It can be better to purge contrary or negative leadership from the roster than attempting to bring such into the fold... unless of course you prefer a corrosive, self destructive culture to be representative of your team. When I take over a program or a team the first thing I do is stress timeliness and punctuality. The next thing is to make it mandatory to dress appropriately. All required equipment will be worn. Standards for what is considered appropriate training attire will be established and this always includes having shirts tucked into the waist band of shorts. From here we can begin establishing standards for training and playing the game. It is a daily process that must be nurtured and cared for in order to take root, grow and blossom. And deviation, any sign of weakness in your steadfast adherence to the goal for the teams culture can set things back to square one. In short, establishing a winning team culture is built around truth, trust and belief in one another. Winning team cultures see players playing for one another. The team, is greater than any individual. No one is irreplaceable. Resiliency is found in a next man up attitude. Expectations are for positions on the field and for the individuals in their comportment always. It's not always the most talented team that wins the match, but it is rarely the team with the best culture that loses a match. In re-reading the recent article on coaching to win I found myself pondering what exactly is development. I apologize in advance for what will almost assuredly be a rambling article. I often write as a means to gather my thoughts on a subject and this is the process I am following today. Process is a good word to begin with for development is most certainly an active on-going process. The idea of playing, in this case playing a game of soccer, is fun. So, soccer development should be oriented in fun activities. We often have the most fun when being challenged. Curiosity is a good thing. We explore to learn. The process continues when we apply our new found knowledge to take ourselves somewhere we have not been before. So, developmental activities should be designed to promote thinking, exploration and attempts to succeed. Failures will be part of the process. Success will be relative, ever changing, ever elusive and yet always attainable. Drill work should be limited to introducing new techniques and demonstrations of new tactics. There is nothing stimulating about drill work. It is tedious, can lull the mind and cause it to wander from the task at hand as it seeks stimulation from other sources. Development then must be centered on activities designed to promote thinking. I have sometimes thought how promoting players to think for themselves in sports might be considered heresy or anathema to American coaches. Most American sports are coach driven, after all. Free thinking creative problem solving players are often looked upon as trouble makers or non-conformists in most American sports. Yet, in soccer ingenuity and creativity are prized traits attributed to the elite of the sport. Development needs to take place in the context of the Four Pillars of Youth Soccer. Technical: The skills of the game. Running with the ball, dribbling, receiving, passing, heading and defending. Tactics: Player decisions and application of techniques in problem solving. Physical: The ability to perform at a sustained high level of play. Psychological: Freedom, Responsibility and Positivity in play. Each of these four pillars of youth soccer are grounded in FUN. Skill development is a critical component of FUN. The attempts, failures and successes found in application of tactics is FUN. Being physically fit to execute techniques and tactics is paramount to having FUN. Being psychologically challenged with the freedom to explore, fail and succeed responsibly is definitely about having FUN. I think we could describe the process in a number of ways, but two in particular come to mind. Truthfully, they are one and the same. First is giving ownership of the game to the players. I have repeatedly stated my belief that soccer is a player driven game. Ownership of game occurs when the players are allowed to think for themselves, decide for themselves while playing the game. For this reason, training the art of decision making should be a primary consideration in every practice session. Player decision making. With all this talk of development it might seem I am devaluing the importance of winning. I am not. However, I do believe winning should not be equated to a team result in a match, especially at the younger ages. Winning implies a competition is taking place. Competing is what athletics are all about. I am suggesting that the opponent in terms of development is one's self. The intrinsic rewards of self-knowledge, self-worth, self-esteem that stem from competing against one's self will last a life time. Whereas the extrinsic rewards of victory, relative fame and glory are fleeting at best lasting only until the next game or next season. Where sports are about elimination in a search for the best we cannot allow this to overshadow the benefits of competing against our self to make one's self a better player, a better person. 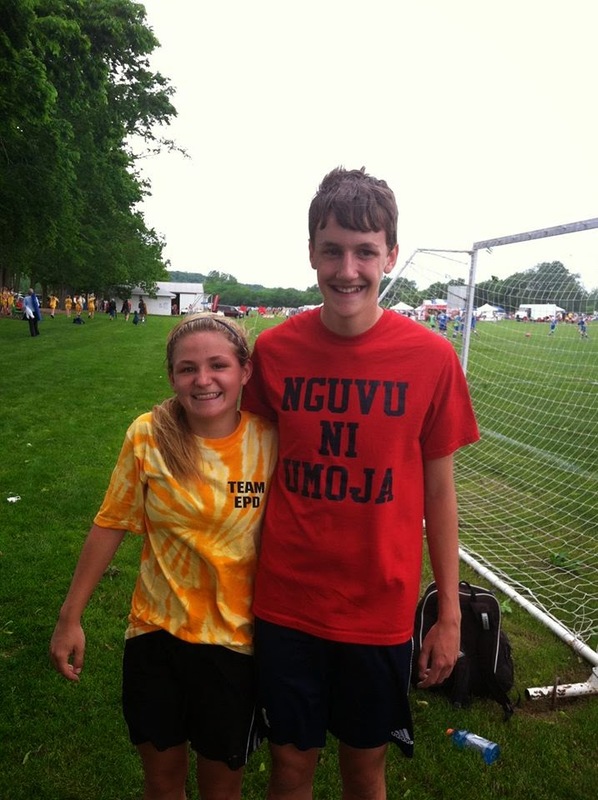 As the June tryout season for club soccer approaches questions about how to identify talent are pouring in once again. This happens every May and again just before high school tryouts in August. When trying out to play soccer one should be expected to actually play soccer in the tryout, imo. I want to see players in live action and under pressure of game conditions. A favorite small sided game to help identify players is called the Gates of Hell. I have used this game with groups from U12 through U18. It is a simple game. Very easy to set up and provides abundant opportunity to observe multiple players in a short period of time. The grid size needs to be appropriate for number of participants, age and talent level of the group. For the purposes of this article will say 25 yards by 25 yards for 7 v 7 play. On two opposite sides of the grid there will be marked "gates" identified by large cones or coaching sticks. This is a continuous play possession game with the condition that if you cause your team to lose possession you must exit the grid through a gate, run around the entire grid and re-enter through the same gate you exited. It is best if all runners run in the same direction so designated clockwise or counter clockwise before starting the action! The players who run the most are quickly identified as players who struggle to maintain possession of the ball. These are candidates to be cut from the team or relegated to a second team. You could leave it at that cursory level or you can look at little deeper at what is taking place in the action. Left to their own devices the receiver of a pass that is intercepted or bobbled away will run. A closer look may find the pass was weighted improperly or was above waist high elevating the degree of difficulty for the receiver. Should the receiver run or should the passer run? A pass might be played to the front foot of teh receiver instead of across teh receivers body to the back foot. The receiver in this case must close his hips to the field making his next play very predictable. Is this the receivers fault or the passers fault? So, something else to look for is recognition and ownership of mistakes made. With so much running possibly involved, the popularity of this game is a bit surprising. Nonetheless, it is favorite of players. To ramp up the intensity we will add the condition of "X" number of consecutive passes completed by a team being equal to a point. Another condition is if the team in possession can complete "X" number of passes while the entire opposing team is running around the grid aditional point(s) can be awarded to the team in possession. As a coach observing action in this game I look for players who properly prepare to play the ball before it is passed to them. Off the ball movement is a king consideration. I also look for the players who are directing the action both in possession and when defending. Which players execute defensively to deny options and approach with a bounce step? Which players work to support the pressure defender. In short, I am looking for ball watchers, vision, communicators, organizers, soccer IQ as much as I am looking for application of proper technique under pressure. e Gates of Hell game provides ample opportunity to see all this and so much more in a short period of high intensity play. What you see is what you get. Maybe you should see something else? There are numerous sports quotes that urge players (and coaches) to look at things from different perspectives. If all you ever do is all you've ever done, all you'll ever have is what you've always had. This is one example that implores change to be made. In our camps we seek to retrain the brain, which is another way to say changes must be instituted before progress can be made. Asking players to step outside their established comfort zones is yet another means to motivate them to change. As coaches we "borrow" from one another all the time. When one coach is successful his methodology and systems of play will be examined and reversed engineered by his peers. Perhaps the most recognized example today is the spread of zonal defenses. The strictly man-marking system is nearly extinct although I suspect it will rise again like the mythical phoenix in retro-ness some day. A by-product of zonal defense is the incorporation of the outside backs into the attack. These players are filling non-traditional roles. Because of this the players manning these positions have been granted freedom in exploring how to execute their duties and responsibilities. In a sense the outside backs have been allowed to write their own job descriptions. As a result we are beginning to see creative and innovative play emerge. I often refer to "our" attacking system that we run from our 1-4-2-3-1 or 1-4-1-4-1 formations. I lay claim to it, but in the last 3-4 years I have seen it emerging independently at various ages and levels of play. It is a natural extension of the zonal defensive systems in prevalent use today. That the Columbus Crew SC are successfully running "our" system in MLS validates what I have been coaching these past several years. Many of the coaches we conduct camp for want us to demonstrate how we have taught our players to make creative / deceptive runs that stress defenses. They want to know our patterns for making runs and are shocked that I spend less than one training session per season working on specific patterns. I have written often of how I allow the players to conduct our half time discussions. One of things they cover is what the opposing defense is giving us and more specifically which opposing player(s) is (are) the weak links we can attack. We have learned to also identify how we wish to set up those players to be attacked. How do we move players and the ball to isolate the defender(s) we wish to attack in the match ups we prefer to have? Patterns in soccer are, in my opinion, symptomatic of the problems that plague American soccer. American sports are largely coach driven sports and patterns in soccer are an extension of this. In short, patterns are restrictive. Patterns take the onus for decision making away from individual players. The coach teaches the pattern and its variations and expects the players to adhere to these. Even the decision of whether to follow the patterns or not is taken away from the players for if they do not, they will find themselves on the bench in favor of someone who will. Any deviation from the scripted established pattern and its variations is blasphemy regardless of if it is successful or not. So it is when we come to conduct a camp on off-the-ball movement that we need to retrain the soccer brains of the players ... and coach. A few years ago I had a coach ask me how to get his team away from playing direct soccer. We watched some game film of his team and one of the first thing we noticed was nearly all off-the-ball movement was towards goal and at the same pace the ball was traveling. What else could his team do, but play direct? So, if you want your team to have a balanced, dynamic and varied attack the off-the-ball player movement is key. Retraining the brain to allow for multi-decison, multi-tasking play is the solution. The answer for how to go about doing this? Well, you'll have to sign up for one of our camps for that! ;) LOL. I cannot begin to count the number of pickup games I have played over the years. Basketball, baseball, soccer, football, kickball, whiffle ball: we learned early to pick sides and play. My wife always marvelled at how I could find a group of complete strangers playing a game at a park and in no time be a part of the action. A quick introduction during a break in the action and when play resumed I had a new set of teammates and more often than not new friends as well. 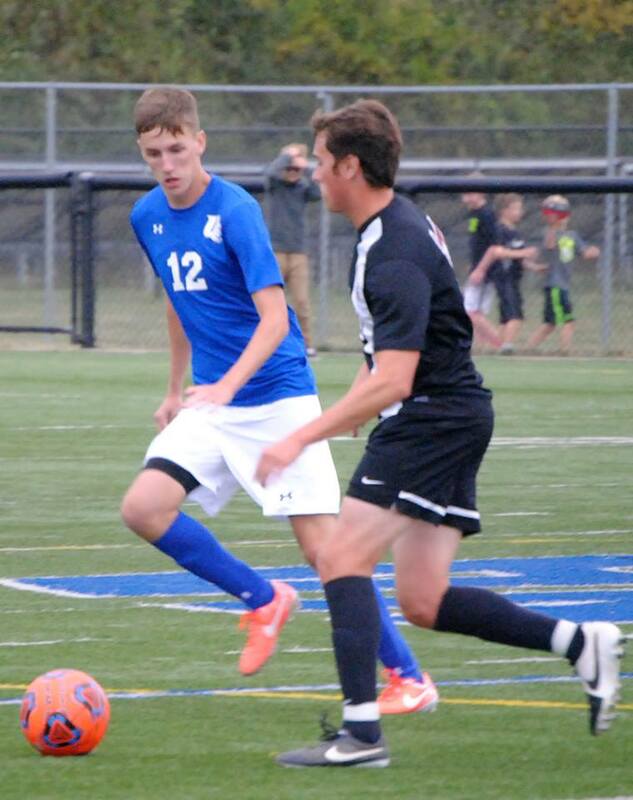 As I watched my son and his friends participate in the Ohio South ODP College Showcase event this past weekend I was struck by how quickly the players established roles on the field. These were basically pick up games involving 70 of the best 16 year old soccer players in Ohio South. There was potential for a lot of selfish play to present itself, but on my son's "Ireland" team this never became a problem. From the very beginning the individuals shared the ball with the passing being quite good. It was much the same on the defensive side of the ball as players instinctively worked together. Yes, there was some individualism that reared its head but the kids took care of that themselves and did so in relatively short order. I have seen this through the years and it never ceases to amaze me. If you won't pass the ball, soon you will not be passed the ball either. If you pass the ball and in doing so help your teammates look good, they will generally return the favor or will find themselves being isolated from play. If you play defense, you immediately earn the respect of your teammates. If you don't defend, your team will work to isolate you so you are not involved in defending. The boys were allowed to call off the player they wished to substitute for and by the end of the first session it was clear which players were earning the trust of their teammates and which were being subbed off on a regular basis. The best teammates played the vast majority of minutes in these games. Not always the best players although that pecking order was being established as well, but the players that played best with others. As a coach, I am always conscious during training of the player(s) who constantly breakdown an activity. Who are the players whose decision making is most questionable, who take excessive touches, who are always losing possession of the ball or are the weak link defensively. Even in training, as the competitive spirit comes forth, these players will be isolated from play. I observed the same thing happening at the ODP event this weekend. I remind the members of my teams constantly that every time they step onto the field it is a tryout. Not only a tryout in terms of soccer but also in terms of life. You never know who is watching: a college recruiter or a possible future employer, someone you might call upon as a reference, the young lady you might want to date or even marry might be watching you. First impressions as crucial. This was evident at the ODP event this weekend as well. If your first touches on the ball involved poor decison-making or selfish play, it set the tone for your weekend. If your first opportunity to defend involved poor or little effort, it set the tone for your weekend. These were lessons I learned early in life. Scoring the basketball was always my strength, but sometimes that was not the role I needed to play for my team. In those pickup games of my youth, there were often older established players or perhaps scorers who were better than I or merely more familar to the group I had joined. I filled other roles until I earned the right to score the ball by taking advantage of opportunities through the run of play. Defending and passing the ball are excellent ways to establish trust with new or familar teammates. Making hustle plays endears yourself to teammates - rebound goals as opposed to the primary shot or winning / saving a loose ball to a teammate instead of waiting for someone to do so for you. I became a very good defender by choice. In pickup games almost no one wants to defend the other teams best scorer. It involves hard work of both mind and body. I always took the other teams best scorer. I gained immediate acceptance in any group by doing so. And it led to opportunities to do what I liked to do best - score the ball. That approach helped earn me my first job in corporate accounting for an international retailer before I ever graduated from college. As I watched the play this weekend one thought was constant in my mind: the kids that were showing well all played with an attitude of "what can I do for my team" while the ones that struggled were seemingly all about "what the team should do for me". Pickup games are often like that, but so too is life. As a coach I look at a players decision-making abilities as the key consideration in any evaluation of their play. This lesson was learned from playing (and observing) countless pickup games over the years. The ability to identify players who make good decisions with, AND perhaps especially without, the ball are the ones I want on my team. Next time you ask players to choose up sides or are involved in a pickup game yourself take note of when players are taken. The ability of being a good teammate is highly prized often times even over playing ability. There's are reasons for that. It is common in youth sports to find coaches whose desire to win now trumps what is good for both the game and its participants in the longer term. Soccer is certainly no exception to this malady. Coaches left to their own devices would prefer to play only the best players in pursuit of wins, especially against difficult competition. This has given rise to the winning versus development debate that rages on incessantly. I do not believe development and winning to be mutually exclusive. For me, the fear of failing manifested through losing is at the root of this debate. This is odd logic in the context of mistakes being considered the stepping stones to success. Mankind's greatest successes often arise from the ashes of trial and error failures. In soccer terms, it is considered acceptable to score on 1 of every 10 shots. That is a ratio of nine failures to 1 success. In a sense, I think we overvalue winning and undervalue losing. By "we" I mean adults involved in youth sports. The level of competition between parents often seems to exceed that between actually participants in the game. Parental self-worth seems to be tied to a child's success or lack thereof on the playing field. It's "keeping up with the Jones' " on the most basic of levels but the stakes seem to be very high, far higher than a won / loss record could ever measure. I was at a garage sale recently and overheard a discussion amongst a group of ladies. They were playing the one-up-manship game in regards to their children and grandchildren. Each lady who commented had to one-up the previous ladies story of her offspring. As kids we did this all the time. It usually started out about toys and progressed until we were comparing fathers to one another to prove who was the most successful. There was a need to feel better about one's self through making someone else feel inferior to your position. Bullying 101 in a sense. Those coaches who must win at all cost in the arena of youth sports are bullies in a sense. Trust me when I say I have heard or lived all manner of experiences where a coach tries to justify winning. Think about that concept for a minute. There does, at times, actually exist a need to justify winning in youth sports. * A coach does not play everyone on the roster because he is afraid weaker players will inhibit his teams chances for winning. * A coach tells a player not to report for a game or "forgets" to notify a player of a match against a strong opponent it pursuit of increasing his chances of winning. * A coach plays everyone, but attempts to "hide" the weakest players in positions where they will have the least impact on the game. A "new" position might even be created for weaker players to help improve his chances for winning. * A coach sends players off to practice their skills as a warm up in the middle of a game and then conveniently forgets hey are present so he doesn't have to play them. * A coach tries to make a player quit coming to games by actually telling him soccer is his sport and suggesting he try something else. He thins the herd by culling out weaker players all in the pursuit of wins. * A coach orchestrates a coach / parent confrontation to anger the parents enough to remove their child from the team. * During a drafting process, a coach refuses to take any more players despite players being available because he believes the players left will bring down the performance of his team. These are but a few of the scenarios I have witnessed in 30 years of coaching youth sports. All are true. That should be frightening to all reading this article. I relate these instances not because I am against playing to win nor because I am an advocate of the everyone plays / every gets a trophy mentality that became pervasive in youth sports at one time. As with most things in life it is the extremes these two positions represent that is reprehensible. What I do advocate is a proper balance between playing to win and playing to develop. This, I think, is rooted in one's perspective of mistakes including an occasionally loss. Many of the examples of inappropriate coaching provided above deal with fear about making mistakes. They are examples of a coach fearing a weaker player will make a mistake of commission or by omission that will cause his team to lose the game. The coach who must win at all cost is the one running from his true duties and responsibilities as a coach. He seeks only to teach part of the curriculum which is the life lessons of youth sports. I saw John again recently. You may recall his story from from my contribution to the Soccer Memory series. John has a job bagging groceries. I watched struggle a bit, but he got-r-dun! I thought back to the privilege of having coached John for a brief period. I will always believe John taught me as much if not more than I taught him. Those coaches who place winning unduly high on their priority list miss out on the awesome experience of having a player like John as part of the their team. We developed players and improved as a team throughout the season eventually playing for a championship with John an integral part of it all. More importantly we developed people who have gone on to bigger responsibilities and better lives. I am the most competitive person you are likely to ever encounter in your life. I hate losing more than I love winning. Yet, I never discuss results with my teams. 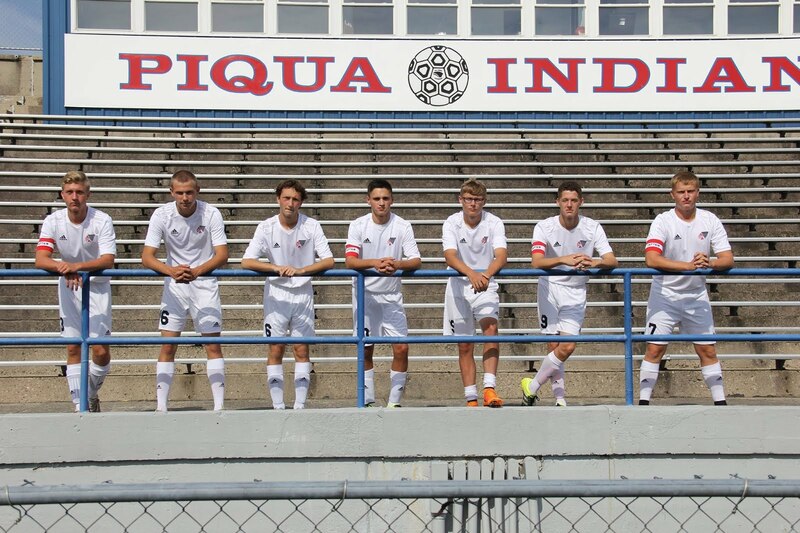 We focus solely on getting better each time we step onto the pitch. When training is done for the day the only questions that matter are these; 1) Are we better than we were 90 minutes ago and 2) Did we have fun improving? If we can answer Yes! to both questions, winning will take care of itself. We are only as strong as the weakest player on our team. 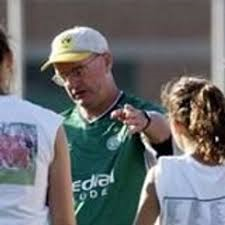 The examples provided above all reference a coach attempting to weed out weaker players or at least limit the impact they might have on the outcome of a game. I have watched such teams practice and it is typical for the "best" players to get the majority of repetitions during drill work and they never come off the pitch when the team plays small-sided games. When their are extra players than required by an activity or a SSG, it is always the weaker players who begin as spectators and receive limited time in the activity - almost as an afterthought or as if the coach feels some level of obligation to include them. Think of the message that sends to the players. How can we expect our team to improve when the weakest players are given the least amount of opportunities to improve? The best teams have quality depth. When a starter goes down with injury or misses time with illness the philosophy of next man up comes into play. The great coaches make sure to prepare substitutes for their moment. Think back to the examples provided above. If a star player went down on one of those teams it's likely the coach would have considered the season lost, that no one could replace the lost star. 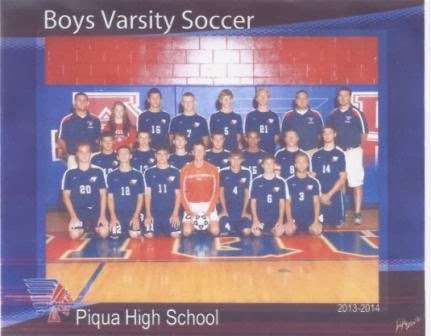 I remember one season of high school soccer when we lost player after player to injury and illness. Our roster was devastated. At one point we were down to 12 healthy players. My approach was not to lament or bemoan our terrible streak of misfortune. Other than to express our concern for the injured and ill we never really discussed their absence from the team. We inserted the next man up and continued playing games. 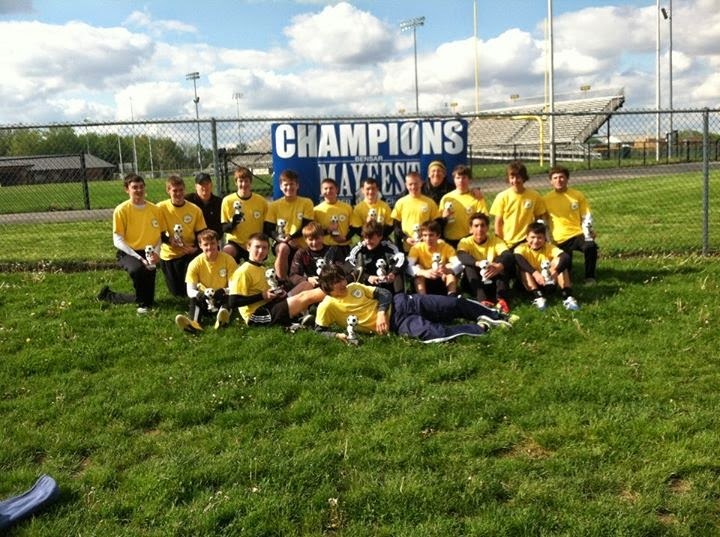 We ended up having the best season in school history up to that time. An unbelievable success story in the face of all that we faced made possible because we focused on developing all members of the team equally. Why do you suppose Most Improved Player awards are given out? Perhaps a better question might be to refer back to the above examples once again and ask if any of those coaches would give a Most Improved Player award to a member of his team? For me, the most important award I present is the MIP award. It is my expectation it will be hotly contested. It s my expectation that this player will likely play a vital role in the teams success. This is the player you originally counted on in a limited role, but who improved so significantly by the end of the season had far surpassed expectations. I have provided two very distinctly different portrayals of coaches in this article. I submit that both are coaching to win. One is simply doing it in a far more intelligent and thoughtful manner than the other. One of the lasting lessons from my experience in corporate finance is the importance of setting short term, mid-range and long term goals. I do this with my team and each player on the team. I do it with my assistant coaches as well. Are we improving? Is each player improving. If not, why? Sometimes I have to change teaching methodology or tactics to better reach the student to get the desired result aka improvement. Again, I know wins will come through development, through improvement. I remember that one youth basketball coach who singled out John. When his team was on offense, he tried to get his best player matched up on John. When the game was close in the the fourth quarter I heard him call out to his team to foul John. Good strategy, perhaps. There was a fair amount of outrage from some who thought John and his team was being taken advantage of. John's disabilities were deemed fair game by the opposing coach / team. All in pursuit of a flimsy trophy for winning a recreational youth basketball league? Before you judge too harshly consider for a moment your own choices. Last minutes of a tied overtime match. It's going to penalty kick shootout to determine the winner. Do you make sure you have all your best pk shooters in the game so they can participate? What about your best goalkeeper? My teams discuss and identify the opponents weakest player at halftime of every match and we attempt to gain favorable match ups against him. Nothing wrong with this, is there? Again it is a matter of perspective. There's nothing wrong with coaching to win as long as a proper approach to doing so is at work. That proper approach must be based in developing individual players... all individual players on the team. It's an inclusive approach over an exclusive approach to coaching that ignites passion and fuels development ... and winning. I have undoubtedly written on this subject before (Coaching Tips) , but it occurs to me I am not the same coach I was when I did. So, I have decided to provide an updated list of coaching pointers. As with many of the articles I write the content for this one was suggested to me by a fellow coach. This particular coach volunteered to lead a youth team without full appreciation of what would be involved. He admittedly felt he was floundering and asked for help in organizing his approach to coaching. 1) Preparation: The coach needs to properly prepare for both practices and games. For a typical training session I will devote an hour plus to planning for it. Each position group requires work specific to their responsibilities. This does not necessarily mean each group should train separate of the others. For example, I believe strongly in cross training individual field players for all positions. Therefore how each group interacts and links with the other groups is a constant focus and it can take some time to formulate a proper plan for addressing this within the theme of a days practice session. On game day, having a line up prepared before hand with scheduled rotations in mind frees the coach for other pre-game duties. Warming up the goalkeeper, talking with the opposing coach and referees to establish a relationship for the game. And in some cases, prepping the field for play. 1 A) Have your practice plan or game line up and rotations written down on a note card for quick and easy reference. While I pride myself on being adaptable and flexible during training sessions I never wish to stray far from my preparations. On match day, I might alter rotations to take advantage of a specific on-field matchup by I do not want to stray far from the training we did to prepare for the match or the game plan prepared for the match. 2) Be First to Arrive: I typically arrive at least 30 minutes before each training session, up to an hour early for a match. Be properly dressed and prepared to take the field in your role of coach. My expectation is before the designated start time the players will be properly dressed, properly equipped and ready to train. I must meet the same standard. 2 A) Walk the field to make sure it is safe to practice on. Remove any debris that could pose a hazard to players. Make sure the goals are properly secured to the ground and in good repair. Check for holes, standing water, mud and remedy the situation or mark these areas as off limits for training. 2 B) Set up for practice before the players begin to arrive. Place cones and other training equipment where and how you will use them. This might include coaching sticks, practice bibs, portable goals, et al. This helps both with organization and pace of practice. As you become more experienced you might use the teams players to help set up especially in-practice. I do this when a break from physical activity or mental strain from an activity is required. It is an exception to the rule. 3) Welcome every player and coach with a smile and a handshake. Inquire about their day, their family, any injury they might have sustained and how rehab is progressing. This is perhaps the most important thing you will do. Think of how impersonal our lives have become with the advent of video games and social media. You want players who are comfortable interacting with others. You want players who are able to communicate with one another. I insist the players shake hands with one another as well. They will thank you after the begin interviewing for jobs and are able to meet and greet with prospective employers. 4) Promptness: I begin every session on time. If a player is still gearing up, he's late and I do not wait. I stand so the sun is in my eyes and demand the players give me their eyes. I want eye contact when anyone addresses the team. I will provide a brief outline of the sessions theme and the activities we will use. It is both a business-like and relaxed approach. 5) Coaching Methodology: Each session should focus on the Technical, Tactical, Physical and Psychological aspects of playing soccer. Warning: Talking too much is counter-productive in coaching. Most of my words in training come when addressing techniques. Almost always this is a gentle reminder involving proper preparation to execute the technique the player has chosen to utilize. I encourage mistakes in the context of exploring the game to its fullest and finding the best solution to problems the game presents. Coachable moments occur when the same decision results in the same mistake repeatedly - we then discuss how to correct (prevent) that mistake from occurring yet again. The hope is for the player solving the problem without stopping play, but this isn't always the case. Use the Oreo or PIP method whenever possible. Acknowledge something done well. Provide information or critique. Then finish on a positive. Positive. Informative. Positive. And keep it short and sweet. An economy and efficiency in communication is valued. Belabor your points and the athlete will tune you out. 6) Involve everyone! No lines. No standing around waiting. Don't waste time having athletes run laps as punishment. Keep everyone actively involved. Provide adequate breaks both in terms of number and length to allow athletes to refresh both body and mind. While it is good to have team captains do not exclude any player from providing input during training or games. This is especially true during half times and post match analysis. Everyone has something to contribute and must not only be allowed, but encouraged to do so. Give your assistant coaches specific roles. Allow them to lead parts of the training sessions. Give them in-game duties. It is good when the parts of training they lead mesh with their in-game duties. Consistency is a good thing! While we must designate head coach and assistant coaches I try to always refer to assistant coaches as "Coach" and treat them as equals in training and at matches. Sometimes you need to coach the assistant coaches. Never do this in the midst of training or a game. This is done before or after training or a game. You must convey your expectations for your assistants clearly and concisely to them. The selection process for assistant coaches is extremely important. You must be able to trust them. Buy-in begins with the assistants. Always allow player and assistant coach input. It is the players team and they need to feel ownership if they are to play to potential. Their perspective of the game on the pitch will be different than yours from the sidelines. Value their input and opinions. The same goes for your assistant coaches. While you do not want insubordination from assistant coaches, you do want differing opinions. Listen to them. Value their input. 7) Dismissal: Bring the team together at the end of training and matches. Briefly summarize the main points of the training session. Make announcements about the next team function. End the training session on a positive note. Share a quick laugh about the days training. Praise effort if not results. For dismissal after a match keep it short and sweet no matter the result. If a defeat, acknowledge the result then move immediately to positives to take away and end with a word of encouragement conveying progress you saw in their collective game. As victors, a word of praise and expressed excitement about the next gathering. Remind the athletes to rehydrate and eat properly until next you gather again. 8) Last to Leave: I am always the last to leave the field. I check for any equipment or clothing left behind. I police the area for any debris left behind by us. I make sure every player has a ride. While I will have set equipment up for the training session and perhaps have set out corner flags, game balls and the like for matches, I ask the players to gather all these things and put them in storage or take them to my vehicle after training or games. When items are left at training or games there will be consequences decided by the team captains or leadership group. Peer pressure tends to be far more effective than a coach demanding laps or some other form of punishment must done. 9) Coaching Journal: I carry a pad of paper and pencil everywhere. I am always making notes. My team, your team, or just some team I stopped to watch for awhile. I take notes. This are then gathered into my coaching journal. Each training session is in the journal in great detail. Notes on individual players are in the coaching journal. Notes of assistant coaches, referees, opposing teams and coaches are all in my coaching journal. I note what went right, where we struggled and what we need to do going forward. From these coaching journals I compile seasonal plans for individual players, the team, assistants and myself. I evaluate where we are and what needs to be done to get to where I think we need to be. I document every goal of every match - how we scored and when applicable how they scored against us. The coaching journal is the single most important thing I do to improve myself and the team. 10) FUN: Always keep things in perspective. Winning or losing - its not life or death. Success is found in improvement. Are you better when you step off the pitch than you were when you stepped onto the pitch? That's the single most important question for individuals or team. As long as we continue to improve we are successful. I find it's difficult not to enjoy yourself when you are improving, progressing, being successful. Legendary Southern Rock band Lynyrd Skynyrd's classic Gimme Three Steps was a tribute to soccer. No, not really, but the lyrics of the chorus are very applicable to soccer. It's all about maximizing both quickness and speed. It's all about playing at peak pace. 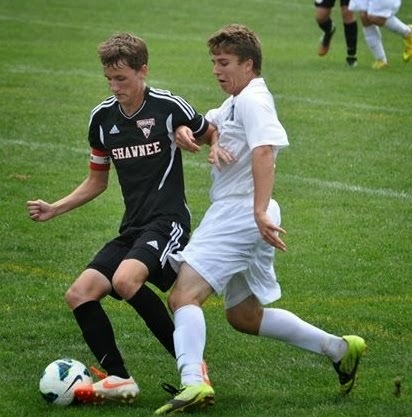 There are four distinct phases of play in the game of soccer. Gimme Three Steps addresses the transitioning phases in particular but can be applied to all four phases of play. The first three steps an athlete takes in the transitioning phases often determine his success or failure in those moments. You might be thinking this article is going to be about explosive physical speed and quickness. That's actually only a small part of it. Actually quickness and speed in play has as much to do with brain power as it does with physical ability. In our camps we work on re-training the brain of soccer players. You must learn a new way to think before you can master a new way to be. In order to re-train how soccer players think about the game we must teach them to see the game differently than they ever have before. Once this is accomplished both individual and collective peak pace of play increases significantly. Be first to the ball and then figure out your play on the ball. This may seem a bit drastic or an exaggeration of the thought process of a typical teen aged soccer player, but it is unfortunately not. Far too many players in this age group are afflicted with Ballwatchingitis which leads them to being one-decision, aka slow, players regardless of actual physical quickness and speed. Their brains actually work against them achieving peak pace of play. When training goalkeepers I place extremely strong emphasis on economy and efficiency of movement. My goalkeeping student train their first step to be into the path of the ball. This may seem like a minor detail. It might appear to be common sense. Watch youth goalkeepers and you will often see they take a step backwards before they move forwards. That is wasted time and wasted energy. That one shuffle step backwards to get going forward can be the difference between making a save and allowing a goal. The same thought process follows through to field players. We must maximize our physical quickness and speed to achieve peak pace of play. One the brain has trained the body to maximize physical effort we can enhance quickness and speed further by training the brain to interpret the game to a fuller extent. The key is to become a game watcher instead of a ball watcher. Ball watchers are reactive in nature as their eyes (and brain) follow the ball. A game watcher is proactive in reading the game and therefore in physically moving on the pitch. Great off the ball movement is a product of watching the game and correctly interpreting what is seen. This is the focus of our pace of play camps. We address the thought process for when the team is in possession of the ball. What does this have to do with the transitioning phases of play? Most youth soccer players see the game better from a defensive standpoint than they do from an attacking perspective. One reason, perhaps the primary reason, is because teaching pressure, cover, balance and ball / you / man principles of play to defenders is far simpler than teaching support to attackers. Defensively the concepts need to be more ball centric then when attacking when the focus must be space centric in order to progress the ball toward goal. Melding these two distinctly different thought processes into one seamless thought process based on a foundation of game watching is what allows for peak performance in the first three steps of the transitioning phases of play. Gimme three steps toward your next play. It's really quite simple. If your first three steps are quicker than the opponents, chances are in your favor for making the play for your team. To achieve this one must maximize all available assets and have these working together to the fullest extent possible. Physical explosiveness triggered by effective and efficient brain power. The ability to think the game effectively and efficiently is the key to achieving peak pace of play performance. it breaks down on the recovery. This is so very true. If you doubt me, watch what happens when the first or pressure defender is beaten. The second or support defender must move to take his place. So far ,so good except the defense is a man down until the beaten defender can recover to either a double team or a supporting role. It's why a defender must not stab or dive in attempting to win or tackle away the ball. There are cues for when to attempt to tackle the ball. Do you know what they are? The answer can be found elsewhere on this site. April 2015 was the best month ever here at CBA Soccer Blog. 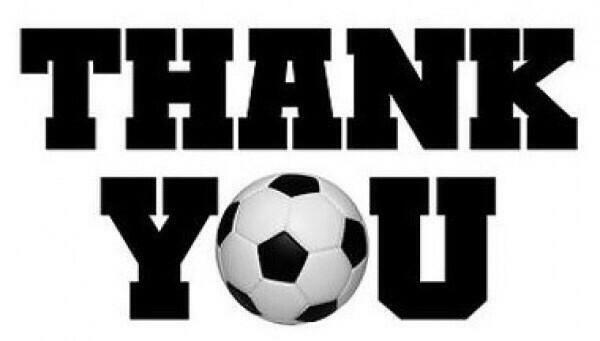 Thank you to our readers for making last month the best ever here at the CBA Soccer Blog. While a majority of our readership continues to be from North America and Europe I am constantly amazed by the far reach we have with readership extending to seemingly every corner of the globe. What started off as a way to publicize our camp programs has blossomed into something much larger thanks to you.! I will be updating the "most read" articles section shortly. Position #6 The Holding or Defensive Midfielder continues to be our most popular article of all time. Surprisingly, three articles from the past found new readership interest in April. It seems the "search function" added to the website has made a significant impact in what you the readers of the blog have been accessing. I will be moving past articles on the club tryout process to the fore once again. I am debating whether to place these articles collectively on their own page or simply republish them as part of the main blog. Which would you prefer? Coming this week will be my musings on professional athletes making the same common mistakes found in youth soccer. I was quite perturbed to see the Crew SC allow two goals to DC United on defensive errors one would expect to see in youth soccer. These are professional athletes for crying out loud! And I will touch on how the errors that got the Crew SC beat yesterday can be attributed to the system or style they play. Mental mistakes. Mental toughness. Lack of discipline. Not accepting the responsibilities that come with the freedom the system offers. For those of you local to me, I am building portable kickback boards. If interested in purchasing one, please contact me. Pictures and specific pricing will follow later this week. These are incredibly sturdy and relatively lightweight. They will fit in the trunk of most cars. I have decided to do this because a ball and a wall remains the best self instructional tool I have found for young soccer players. The portable kick back boards can be used by individuals or small groups. Slam! is one of the games kids love to play and requires nothing more than a ball and a wall. For one of our camps this summer I have been asked to install "our" system of play. That is a lot to ask for in a one week camp but I believe we can provide the basics. I am putting together supplemental practice plans to be used throughout the season to continue honing and building the system throughout the year. This is my first attempt at laying this all out and trepidation is running amok. I admittedly form a loose seasonal plan when coaching a team myself. I select 3 parts of play I wish to focus on as a general theme for the season and have specific activities in mind to address these, but am largely adaptable as the season progresses. So much of what I do is team specific - get to know the players and how they best learn. This varies from group to group, season to season and sometimes day to day. Maybe there is something article worthy here? The Book: I have had computer problems the last couple of weeks so the book project was put on hold. 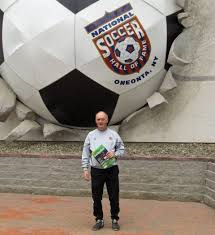 I continue to write what I hope will be a manual with basic and fundamental coaching concepts that will be useful for all, but especially those who are embarking on the NSCAA diploma and or USSF licensure routes. Both organizations have worked to restructure their programs to meet the needs of their clientele, but they both still assume a basic understanding of both the game and coaching is present when such is not necessarily the case with many seeking coaching knowledge. We're going to address that and I believe it be done in a manner that will be helpful to novice coaches through seasoned veterans alike. Thanks once again for helping us continue to grow! Responsible and accountable people fix the problem.